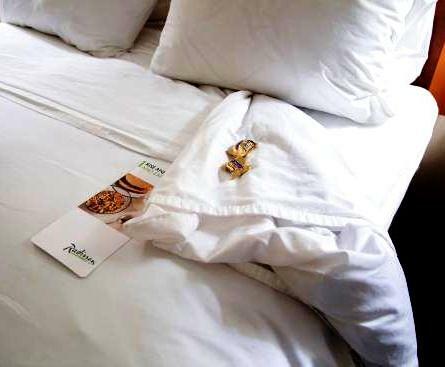 Turndown service or evening service is one of the most important services provided by housekeeping department. It is such a sophisticated service that would not cost a hotel, motel or cruise ship much but a well-designed turn down service is highly helpful to get ultimate guest satisfaction. 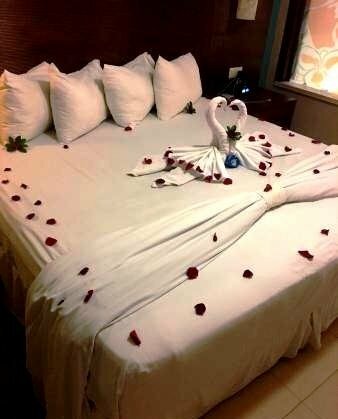 The concept of turndown service has been developed to provide a soothing homey environment to your guest in the evening to return from their sightseeing or touring of that day. In this tutorial we are going cover everything relevant to turndown service that as an hotelier you may need to learn like what is turndown service, A to Z turndown service procedure, tipping system of turndown service, responsibilities of turndown room attendant and many more. Stay tuned. It is difficult to answer what is turndown service in a single sentience. Definition of Turndown service can be given in this way turndown service is serving guest in the evening or at night, usually when guest are out of the room during evening hours for having dinner or sightseeing, carried out in luxury hotels which involves turning down the guest bed sheets and freshening the guest room. In general turndown or evening service began at 6 PM and it continues until completed. The main purpose of providing such service is to ensure that guest feel highest level of comfort before and during sleep. Turndown service was once reserved for VIP guests only but as the time passes now it becomes quite an obligatory routine service for all guest. Even though, it is kind of extra service, so not every hotel provides nightly turndown or evening service. 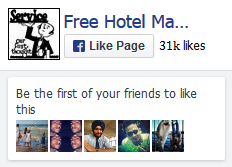 In fact, many low end or budget hotels don’t provide such service. Some hotels provide on request, some charges and some provides only to VIP guests. But turndown service is very much common in luxurious hotels, resorts and cruise ships. Some luxury hotel, resort or cruise ships have turndown attendants who are specialized in this service and their prime responsibility is to provide turndown service. It is quite obvious that evening or night shift is quite smaller than the day shift but it needs fast service. In some hotels a turndown room attendant on night shift may need to serve close to 20 room per hour. This means a turndown attendant only gets 5 minutes to arrange a guest room. Turndown attendants should be very well looked, skilled, professional, observant and quite silent by nature to avoid troublesomeness to guests. Duties and responsibilities of a turndown attendant could vary a little bit in different establishments but few are most common like turning down the bed sheets, placing a complementary chocolate or candy mint on the pillow may be with a card saying “Have a pleasant night sleep and a good day tomorrow” and also placing the doorknob morning breakfast card, replenishing fruit basket with fresh fruits, filling the ice bucket, leaving a fresh towel and last but not least ensuring there is glass and bottle of water for night. In case of resort hotels or cruise ships, room attendant may deliver a card with the following day’s weather forecast printed along with description of following days special activates or events. Collect list of rooms (room assignment sheet) that need turndown or evening service. Collect “giveaways” like chocolate or candy mint from housekeeping supervisor. Stock the trolley with required items like linen & other standard guest room amenities, cleaning items and agents. Check any special requirement or notes for any guests. Try to understand if there is anyone in the room. Check the status of the room from assignment sheet. If DND (Do not Disturb) sign is hung on the door knob then take note of those DND rooms and return to them before going to off duty. Follow the procedure of knocking and entering a guest room. If the guest refuses then politely ask when you can return. Take note and report about those refused service rooms to the supervisor. If the guest allows or there is no guest in the room then follow the next procedures. Keep the door open with the support of a doorstop. Keep the cart in proper position. Switch the master switch on. Switch on all lights and make sure all are working fine. Have a look at the turndown assignment sheet for any special instruction (if any). First Remove guest items from the bed. Put them aside. Remember some properties have the policy that would not allow you to move guest items. Pull the bedcover back gently and fold the bedcover or bedspread in a three way fold. Fold one corner of the blanket so that a guest can easily slide into the bed. In case of single occupancy in a twin room just turn down one bed. Release one side of the top of linen and blankets and fold them back to form a right angle triangle. If two person are sharing bed then turn down both sides and form double triangle. Neaten all the edges and tuck in properly. Don’t forget to fluff the pillows in order to look them fresh and firm. Put the turndown amenities in appropriate locations. Keep in mind that amenities will vary from property to property or types of establishment (like hotel, resort, cruise ships etc.) and it will also change time to time. Otherwise, place a breakfast menu and chocolate on the pillow. If it is in your property’s policy then place a note or visiting card of general manager or sales & marketing director on the pillow. Place complementary mineral water (if it’s on your policy). Put foot mat on the floor along with slippers. The best location to put that is in front of bed’s turn down from where guest would slide into the bed. Look around the room and make it as neat as possible, tidy anything that is out of order. If it is too messy then you have to go for extensive clearing. Clear all dustbins. Empty the trash and replace the plastic bag. If the ashtray is full then empty the ashtray into waste bin. For cleaning purpose put the ashtray in the bathroom. Collect all used chinaware or glassware and place them in the bathroom for cleaning or replace with new clean ones. If there is any used plates or any other items from room service then remove those and put into the pantry area. Hang lose guest clothes in the hanger or keep on wardrobe. Clean the bathroom and try to make it as fresh and clean as possible. Replenish used towel with new one. Replenish guest supplies like soap, shampoo etc. when needed. For sure, bath/shower, basin or toilet has been used by the guest. So wash them neatly and give them time to dry out. This will uphold your hygiene standard. Close the curtains to give privacy to guests at night. Turn on beside light, close drapes and blinds. In some property, it is recommended to turn on radio to a recommended FM station at low volume. Don’t do that if you don’t have such policy. Set the thermostat at standard level or set it as the guest left. Spray some air freshener if required. If needed make necessary arrangement so that the room look very comfortable and appealing. Often nightly turndown service create long lasting impression to guest which result repeat business. So don’t leave any chance to uphold your property’s image. Double check everything. Scan the guest room and other areas from beginning to end. If the room looks appealing and pleasant in your eyes then most probably it will also look good to guest. Double check the assignment sheet and check whether you have missed or overlooked anything or not. Specially look after and deal with any extra requirements the guest might need or requested like – flower vases, pillows, iron and ironing board, magazines etc. Leave the room and wipe your fingerprint (if any) from the surface of the door. Lock the door properly according to your system. Double check to become sure that the door has been locked properly. Don’t forget guest’s belongings are there in the room at your protection. Mark the worksheet as complete. There are some guests who wonder whether they should give any tips for turndown service or not. Actually there is hardly any chance, as an room attendant, you will get to get direct contact with your guest since nightly turndown service or evening service has been done in times of guest’s absence. So you should not except any tips for turndown service. So that’s all for today. I hope you have got a very good clear but concise idea about turndown service performed in hotel, resort or cruise ships. It really doesn’t cost much to operate turndown service regularly. So if your property has that capability then go for it. After all, turndown service is a great way to achieve guest’s satisfaction. We are not any establishment. Just a blog/website.